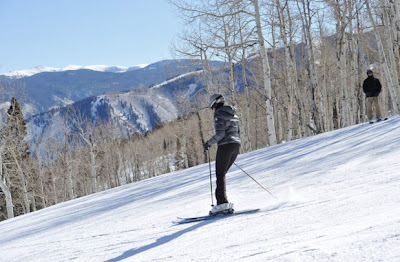 President’s Day 2012, Michelle and the first daughters in Aspen, Colorado to ski. Christmas 2011, the first family in Hawaii for an extended vacation. Summer 2011, in Martha’s Vineyard, Mass., for the annual beach break. June 2011, the first lady, her mother and daughters traveled to South Africa and Botswana. President’s Day 2011, the first lady and first daughters travel to Vail to ski. August 2010, the first family traveled to Panama City Beach, Fla., for some sun and fun at the beach. August 2010, Obama spent the weekend alone in Chicago for his 49th birthday bash. August 2010, the first lady and daughter Sasha traveled to Spain for a mother-daughter vacation. August 2010, summer vacation again at Martha’s Vineyard. July 2010, the first family went to Mount Desert Island, Maine. May 2010, the first family had a four-day trip to Chicago. March 2010, first lady and daughter spend Spring Break in New York City. Christmas 2009, Hawaii again for the annual break. August 2009, at Yellowstone National Park and the Grand Canyon for a short vacation. August 2009, their first summer vacation as first family at Martha’s Vineyard, Mass.